All the features the sport offers this weekend remain at Yonkers with rounds four of the George Morton Levy Memorial Pacing Series and the Bluechip Matchmaker series. Aside from last year’s defending champ looking for a series sweep (Foiled Again is yet to lose a race), this year’s older pacing crew has been competitive, with different winners in most of the divisions. The high-pursed divisions continue with full fields and great wagering opportunities this week as the cast works out a final few for the April 30 final. 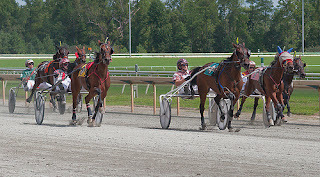 Again this week, there’s a free-for-all harness-handicapping product for “Levy” players is available by clicking here. Take advantage of these tools through the series. Of course, we re-visit the no-takeout late Pick 4 at Cal Expo, with focused suggested contenders for you to use any way you like in a ticket to hit it. And, an extra treat, a look at the Yonkers Pick 4 on the Levy program. 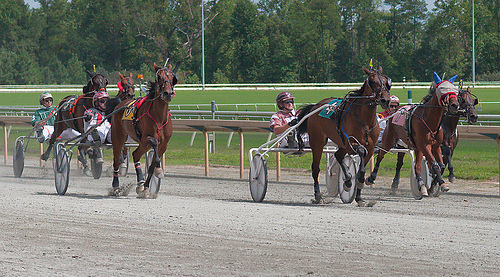 Five divisions are presented this week, again with $50,000 purses in each, Saturday, April 16. In the first division, Race 5, there seems no definite favorite. Still, one that may bring a price is Trueys Legacy. He was first over at the half and three-quarters last week and still gained, though he couldn’t get by Legal Litigator and Valentino, who closed sternly right at the wire. Also watch Mainland Key N. This guy has proven that a race doesn’t have to set up for him and he can close huge at a price (we gave him to you when he paid better than 30-1 in a round two weeks back). In the second division, Race 6, Foreign Officer may be the public choice as he went the fastest in the first leg and gained well last time out but got fourth. Still there is one that could beat him: Keystone Rideau. He suffered interference and fell back in the pack, finishing second to last. We think this horse is capable of pulling an upset here. In the third division, Race 7, Atochia will be the likely choice, though the one to beat is Urgent Action. He seems to love this track after he won the $67,200 Sagamore Hill Final. Also watch out for Sand Savage. If he can stay flat, he will be a bomb. In the fourth division, Race 8, once again, there may not be a definite favorite, although, Blatantly Good, who has become the talent he was last year, will get money. His trainer, Mark Kesmodel, has brought the pacer around in tip-top shape. Also, This Is Wyatt should race well again, sharing some kind of favoritism. In the series’ nightcap, Race 9, Foiled Again will again be the one to beat. If you are looking for a price against him, Forensic Z Tam is the one. He closed last week and got second. Also watch Mr Massimo. Friday, April 15, Yonkers presents the next round of the Bluechip Matchmaker for pacing mares. In the first division, Race 6, Shacked Up and Rev Me Up will be the two likely public choices. But one that will be competitive at a price could be Cannae Cammie. She closed well from the outside and now gets the rail. In the second division, Race 8, Ginger And Fred will be one to beat. She won the “Matchmaker” last year and is looking for the double. But one that may bring a price is Up Front Kellie Jo. Even though she draws the outside, she may be more productive than her last effort, where she had barely any room in the passing lane. Also watch Hula’s Z Tam. In the third division, Race 9, it is a mystery who will be the favorite. But it might be Symphony In Motion coming off a win last week. But a mare we suggested last week and couldn’t catch the leader, Shangai Lil, will be a good challenge to this field after she was hung last time and finished second. Also watch Flirtiscape. She made a good attempt to get the whole field at the wire but was unsuccessful. She finished fourth by 2 lengths. In the nightcap, Race 11, Anndrovette and Tomorrowpan will be the two favorites after their races last week. But a good value in this event is Twin B Tiara. She had a disadvantage last time out as she had some broken equipment, finishing last. But in this event, things might go her way as the likely two choices may duel for the front. Also watch Farmers Tuition. There is a $15,000 guaranteed Pick 4 at Yonkers on April 16, thanks to the USTA Strategic Wagering Program. Let’s take a shot at it. (1a) Southern Allie has been competitive throughout the Levy series. 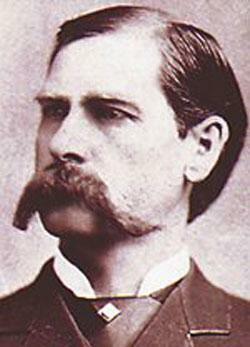 (2) Gallant Yankee has also been sharp. It will be tough to see who can beat either of these guys. (4) Blatantly Good, however, has also done well in this series and may be a value here. (1) Foiled Again is a good single, as this horse is practically impossible to beat in this division. (1) Power Of A Moment is coming off of two good qualifiers. It could matter. (8) Clown’s Smile is the likely favorite and will be hard to beat but must overcome the outside post. 1,2,4/1,2,4/1/1,8 is an $18 ticket. Add and subtract horses to fit your budget. But as a suggestion, 1,2,4/1,2/1/8 is good value for $6. Saturday night, April 16, the no-takeout Pick 4 sets up again with similar crews. (3) Bo Knows Power was trapped behind a dead-heat pair still full of pace. (7) Bronte Anas Boy tossed in a stinker after giving fair warning of speed the race before; dangerous longshot to start here. (5) Laredos Goose seems sharp enough to take another race, closing again. This time the price may be better, pumping up the results. (1) One Hot Tamale held sway in an awful overland trip at 17-1 and could be the monster here. (9) Yourmyaddiction was wide early and tanked but bet well enough, finishing third, to use again. (1) Cruiserluckyseven comes off the best race in this sorry group, closing well to get second at 7-1. He may be the prohibitive favorite but with an upset or two in the other legs he could cap a great ticket . On Friday at Woodbine, we are considering five horses. In Race 3, Bold Barry (1); Race 7, Dance Until Dawn (6); Race 10, Mustang Art (1) and Canaco Run (8); and Race 11, Virtuous Western (10). On Saturday at Woodbine, we are watching eight horses. In Race 1, Hour Lavec (1); Race 2, Rose Run Invader (8); Race 4, Hilarious Halo (2) and Campasser (6); Race 5, Biletnikoff (6); Race 6, Up Front Ben (2); Race 9, St Elmo Hero (5); and Race 11, Noble Duharas (1).